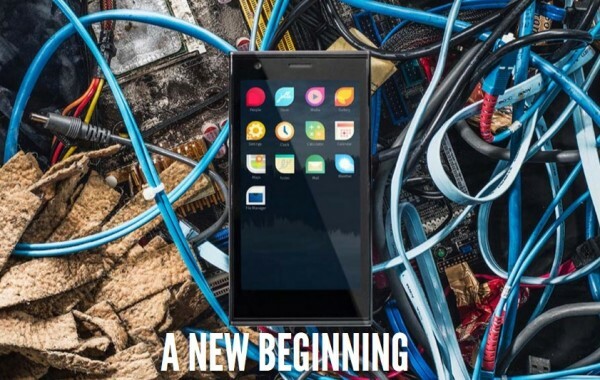 The first phone from Jolla is now launched, and the first 450 people got their hands on it today. We got some nice pieces of information from the event. Read more after the break. Jolla and DNA brought out the big guns with singing dancing and even confetti when they launched first phone from Jolla. Jolla say that they will sell 20,000 phones this month to pre-ordering customers and that their target is to sell 1 million phones a year. They are taking on a big challenge here but China is the next market they will focus on after Europe. The market for smartphones in China is huge, so if the phone is well received there they may have a very good chance to reach their goal. They also announced that Sailfish OS will receive updates monthly. This is a very good thing because there is some features we take for granted nowadays that are missing, like MMS support. Good to know that we will see regular updates with new features and bug fixes. Each “Other Half” (the phones back cover) will have its own unique ID. And that’s how the phone recognizes different “Other Halfs”.